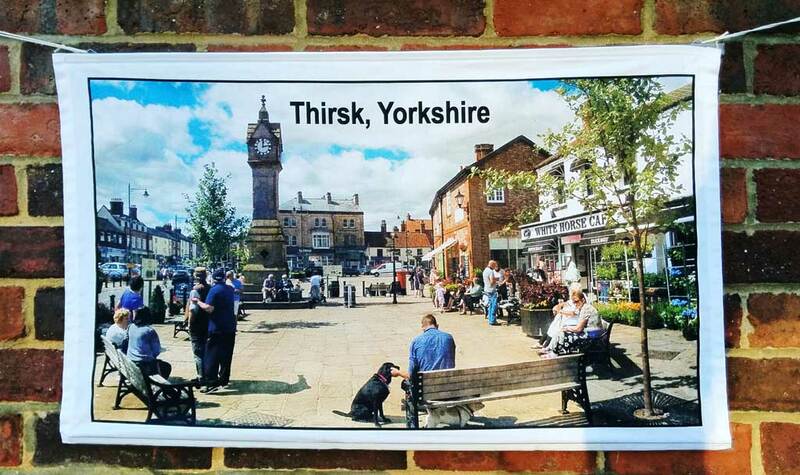 James Herriot's town Thirsk at the height of summer. This cotton tea towel, made in England, has a bright white finish and full-colour print with a narrow white border. It is hemmed on all four sides. The size is 48 x 76cm19 x 30 inches approx. with free postage to anywhere in the world.